How do I know if my h pylori is gone? I am 47 yrs. old and have been told that i have irritable bowel. So for the last few years every now and then I have really bad cramping and diarrhea. I had this for 4 days before going to a conv. care center in our area and the first thing the doctor said was he wanted me tested for h pylori. They did a blood test (finger prick) and said it was positive. I currently take (I believe) 1500 mg of vitamin c and 1000 mg of vitamin D daily. I am also on paxil, previcid, mobic, detropan and cenestin. The doctor put me on two weeks of doxicyline, flagyl and metha...(can't remember, sry...at work). He said I may have to go through this treatment again in 3 to 6 months. I spoke to my doctor who said I can't be tested to see if it's gone because it will always show positive. So I'm really confused about what to do. The doctors (2) also both told me that it was not contagious. I don't wish this on anybody so what things can I do to make sure my family and friends don't get infected? and is there anyway to know if the antibotics I'm on have gotten rid of it? Thanking you in advance for any advice. Comments for How do I know if my h pylori is gone? Your doctors must be smoking something to tell you that you'll 'always test positive'. That's simply not true at all. Just get an H Pylori Stool Test and see if it's gone. You can have antibodies in your blood for several months after treatment, but you'll not 'always' test positive- not even for a few years. But the stool test actually tests for 'antigens' that the H pylori bacteria produces, and those will dissipate a couple of weeks after treatment if treatment has been successful. Also, your doctors telling you that H pylori is not contagious is completely wrong. Please see my page on Is H Pylori Contagious to learn more about that and why you may also want to get your family tested as well. Not so much for them if they are healthy, but so YOU don't get H pylori back from THEM! And as far as IBS is concerned, this is NOT something that you need to live with. 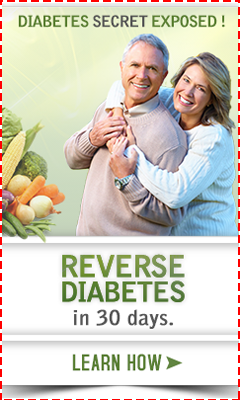 You CAN get rid of IBS with diet and lifestyle help. The FIRST thing that you should look into is Gluten Sensitivity. It's almost certain that you will have some amount of improvement eliminating gluten and other 'allergenic' foods. There are probably about a thousand other things that you can do to help your symptoms. And just to let you know, taking 1000 IU's of vitamin d is completely inadequate. 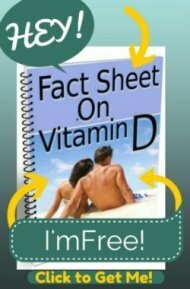 Please read my page on Vitamin D Therapy to see what you should do to bring your vitamin d levels up to normal.